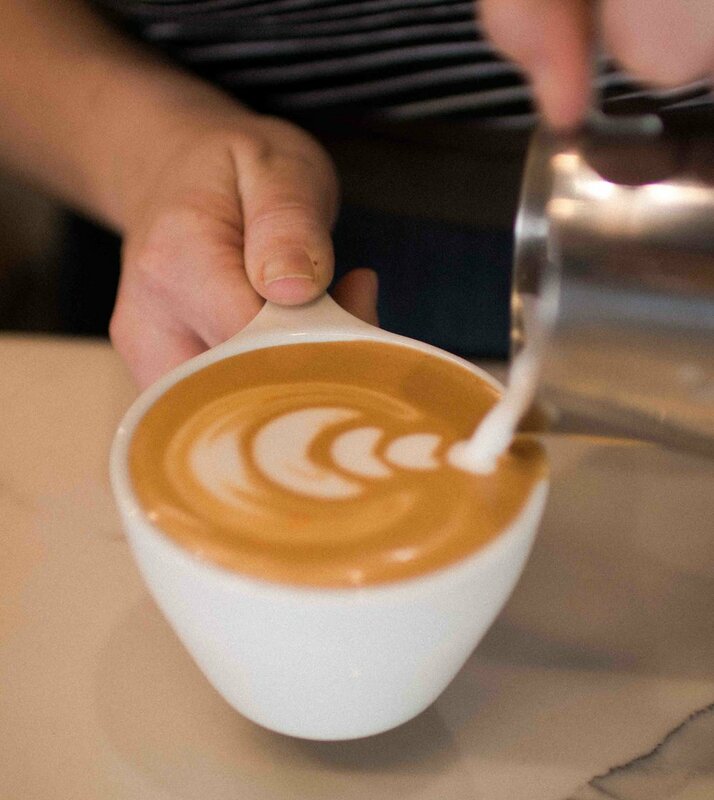 MAKING Great COFFEE MIGHT SEEM LIKE A DAUNTING TASK, BUT WE'RE HERE TO HELP. Here's some pointers to get you started in the right direction at home. To learn more just ask us! Pick your favorite! Here's some of ours: Chemex, V60, and Aeropress. Delicious filtered water. Coffee is 98% water, if your water tastes bad so will your coffee! From seed to cup, each stage coffee goes through has a significant impact on its taste, mouthfeel, and overall quality. This section will give you a better idea of what to look for in coffees and an appreciation for what it takes to create delicious coffee. In the same way that different types of apples have different tastes, different types of coffee varietals have different tastes. A few examples include: bourbon, typica, and ethiopian heirloom. Coffee is only grown in tropical climates between 2500ft and 7000ft. The elevation has a huge impact on how the coffee develops and can influence the taste as well. Coffee is actually a cherry! “Processing” includes several different methods of removing the cherry from the coffee seed. The primary methods used are called “wet” and “dry” processing. This stage takes an extremely skilled farmer to do just right and is why we tip our hats to them when we taste a delicious coffee. Many coffee farms have their coffee graded by professional taste testers (cuppers). The coffee is separated by quality with specialty coffee at the top, gourmet next, and commercial coffee last. You might see us refer to “specialty coffee” now and then, when we do, this is what we’re talking about. If all the previous steps are done just right, then it has to pass through the hands of a skilled roaster. Having the knowledge and skill to roast coffee so that every delicious note is accentuated is very difficult. However, we found some roasters that take as much care in their craft as we do. Finally we brew the coffee! With careful measurements, great water, good equipment, and a head of knowledge, we can guide coffee through this last process and make something delicious for everyone to enjoy! We thought it might be helpful to know a little bit about that mystical thing called espresso. It's not that mystical, it's just precise. The only difference between a drip brew coffee and a coffee as espresso is that espresso is extracted with a lot of pressure in small amounts and drip brewed coffee isn't. It's espresso not eXpresso . . . Espresso is a way to make coffee, eXpresso is the beginning of a Harry Potter spell: Expresso Patronum! A common misconception about espresso is the caffeine content. A double shot of espresso actually has the same amount of caffeine as a 6 oz. -8 oz. cup of coffee. Well done cappuccino’s are very balanced with rich milk and espresso flavors. Our cappuccino is only 6 oz. prepared with a double shot of espresso and creamy microfoam. A latte is the same as a cappuccino only it’s size changes depending on how much milk you want. Latte’s should be 8 oz. to a 12 oz. Who Made up these Tasty Drink names? The Italians (mostly) and the main difference between them is the coffee to milk ratio.